This movie is about all of the fast, cool, wild Assateague Ponies off the coast of VA. They live on an island. It is the best movie that I have seen that is all about the Assateague ponies. If you really love horses, dolphins, bald eagles, and other wildlife then I strongly suggest that you watch it. This family film is entertaining for all ages. The film includes the most interesting footage of the "Legendary Wild Ponies of Assateague" ever captured. 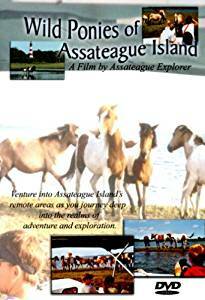 The film includes great footage of other wildlife along Assateague Island National Seashore in Virginia also. The new film was professionally mastered at Studio West film studio and has just been released. All the footage is new and was captured during 2004. The film was edited at the studio in March 2005. This film also features great footage of the Annual Chincoteague Wild Pony Swim, Atlantic Bottle Dolphins, Birds and other wildlife filmed along the Chincoteague National Wildlife Refuge. Return to Share More of Your Favorite Horse Books!.